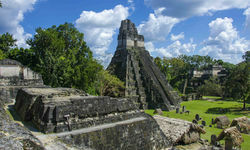 The most impressive of Tikal's structures are the six huge step pyramids or Temples I-VI, some towering over 200 feet above the humble tourist. 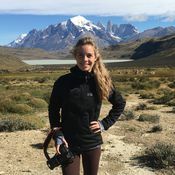 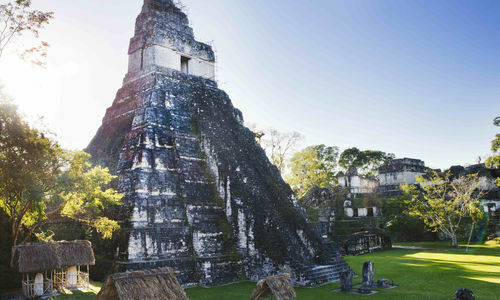 Yet the majesty of Tikal is apparent wherever you are; craning your neck upwards, peering giddily downwards, or gazing across the Grand Plaza at the temple tops rising above the jungle canopy on the skyline. 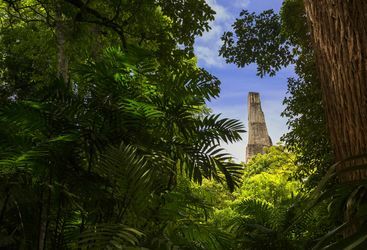 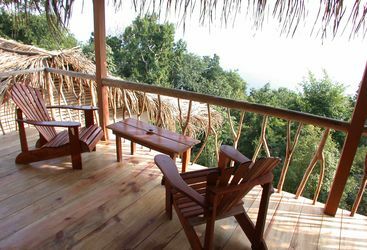 Wildlife is plentiful and your visit will be accompanied by the sounds of chattering birds and howler monkeys, all adding to the unforgettable experience. 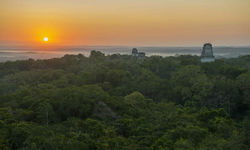 Indeed, the Petén region contains over 800 species of trees, 57 species of reptile, and 500 species of birds. 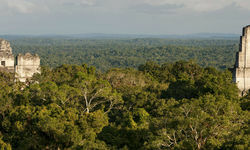 Tapirs, peccaries, and jaguars still roam the emerald forests. 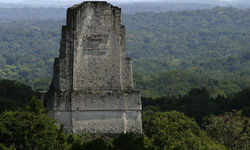 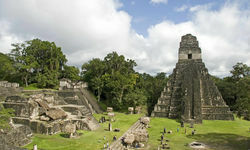 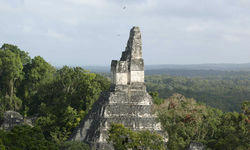 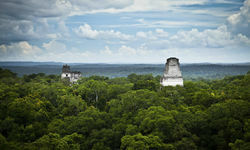 Tikal can be visited as a day trip or an overnight trip staying in one of the rainforest lodges. 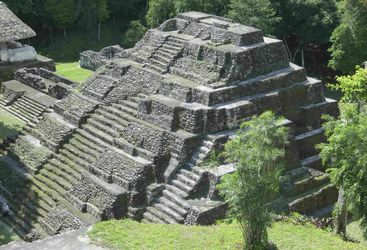 45 miles to the west of Flores, the gateway to the north, lie the archaeological site of Yaxha. 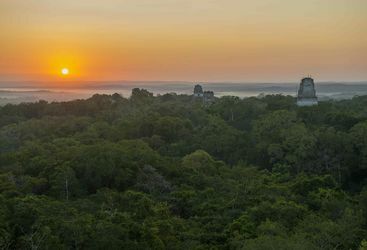 My highlight: There's no better way to take in all you've learnt about the Mayans than from the top of a Mayan temple, drink in hand, as the sun is sets.